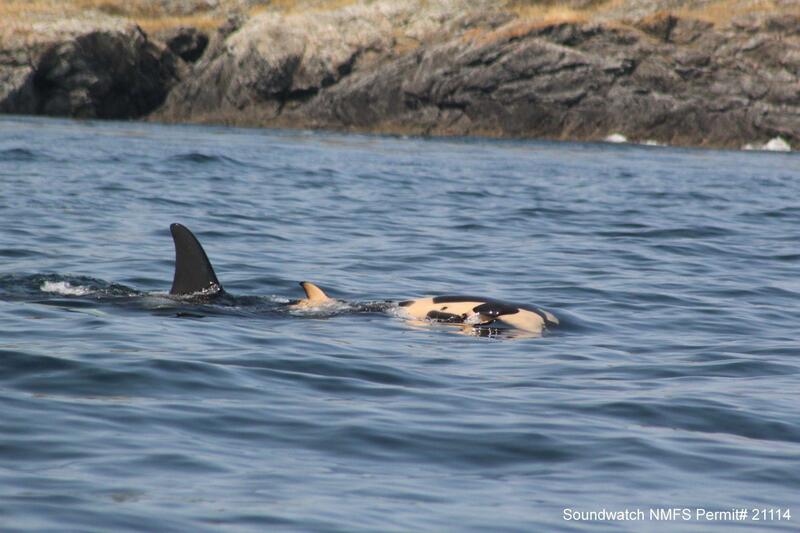 A female killer whale off the coast of Washington state appears to be grieving her dead calf. The endangered orca, given the name Tahlequah, gave birth a week ago and the calf died shortly afterward. The mother has been keeping its body afloat ever since. Here & Now‘s Jeremy Hobson speaks with Jenny Atkinson, executive director of The Whale Museum on San Juan Island. The group has a boat on the water and is monitoring the mother from a distance. “The first thing it tells me is that grief isn’t owned by humans. If you’ve ever been around animals, you see them do behaviors, it’s a little different than how we express it, but they definitely seem to express concern and care for their offspring. Orcas are particularly socially connected and emotionally bonded. They share their food. They’re involuntary breathers, so they have to remind themselves to come to the surface to breathe. So when they go into deep rest, they’re in physical contact with other orcas in their community and one stays awake to kind of watch out. The Whale Museum has been sharing updates on its Facebook page. The whale recordings in the audio atop this post come courtesy of SMRU Consulting.